Does your dog or cat scratch all the time? If so, he could have fleas or a flea allergy. Fleas can be found in the country, city and can even be picked up by humans as they’re in the grocery store or library. If someone has fleas at home and a flea hitches a ride on a pant leg or shoe, the flea can hop off anywhere. Once the flea hops off, he’s immediately going to look for a new host. That could be you or your pet if you’re in the right place at the right time. Fleas need warm blood animals to survive. The picture below is a good example of what fleas do to me and why I avoid them if possible. This was the result of one flea getting into my pants at a cat sitting visit. I found the flea and then discovered he made a buffet out of my leg! Can you imagine how our pets feel when they get fleas? Flea bites on humans are large white bumps. The bumps slowly disappear but while they’re raised they itch like crazy if your skin is sensitive like mine. What Causes Flea Bites To Itch? The itch comes from flea saliva. When a flea bites, they leave a small amount of saliva behind. It causes irritation in some animals and people. Severe reactions can cause patches of hair to fall out and can cause the skin to thicken (in defense of the irritation). Furthermore, it can causes rashes and lead to anemia if not treated in time. Anemia can be deadly and when a young puppy or kitten has a severe case of fleas. Where Can I Find Fleas On My Pet? Fleas hop all over and can bite anywhere. However, fleas typically can be found near the base of the tail, near the groin and down the center of the back. These are all difficult spots for the pet to get to and the fleas want to be where they’re less likely to be scratched off. If your pet is itching, scratching and biting parts of his body, he probably has fleas. Even one flea can cause your pet to go ballistic and scratch ferociously. Flea droppings (flea poop and host blood) can look like dark pieces of sea salt. They can be found wherever your pet has sat or laid down, including your bed, carpet and furniture. Droppings will also accumulate on your pet. Severe flea infestations can result in a flea nest. The nest looks like a nickel or quarter size dark crusty nasty glob on your pet, typically on a spot your pet can’t reach. If you rub or scratch the spot, your pet will thank you but the fleas will scatter! Fleas feed (bite), walk or hop, then poop and repeat this cycle. If you have fleas in your home it’s important to wash and clean these items frequently. First and foremost, get your pet on flea prevention and continue this throughout the year. Fleas don’t die off in the winter; they just look for warm bodies. And, depending on where you live, fleas might get worse during one part of the year then slow down others. Regardless, keep up with the right type of flea treatment and that will help tremendously. There’s many types of flea treatments on the market; chewable pills, injections, topical treatments and seresto collars. Some kill live insects, others only eggs. Other products are waterproof and prevent mosquitos and ticks from biting your pet. 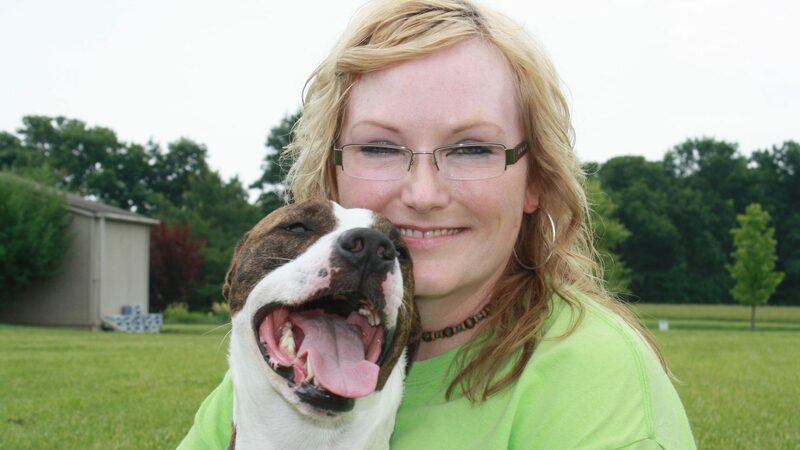 Be sure you know what the product does and any side effects before applying it to your pet. NEVER put flea medicine made for dogs onto cats and NEVER put flea medicine that’s made for cats onto dogs unless it clearly states it can be used on both. Hundreds of pets die or have severe reactions every year because their people use the wrong product on them. Check the expiration date of the product before you apply it. NEVER used expired flea prevention products unless your veterinarian directs you to do so. The efficacy of the product diminishes over time which won’t help your pet and may hurt him. Wondering What Flea Treatment or Prevention To Use On Your Pet? See this flea product comparison chart by Healthy Pets or this one by fleabites.net. Please contact your veterinarian before you choose a flea prevention medicine. Some products require a blood test before treatment is applied. Others have contraindications and your veterinarian will help you decide what’s best. Keep a clean house. The more stuff you have lying on the floor, the more places fleas have to hide. Keep children’s stuffed animals up off the floor. Wash blankets, rugs and pet bedding frequently in hot water. If you only shake out rugs and don’t wash them the flea eggs can remain attached to the fibers. Use flea powder to sprinkle on your carpet and furniture. Use flea spray specifically for furniture and carpet. Contact a pest care professional to spray if you constantly have fleas no matter what you do. Sprinkle borax powder or diatomaceous earth to kill fleas. Look for fleas and flea eggs on your pet. If you see a small black thing hopping around, pinch it and pop it 🙂 between two fingernails or stick it in a small bowl of soapy water if you’re not into popping fleas. Flea eggs are small found and flat objects, like a grain of salt, can be picked off and crushed or put into water also. In order to make sure we’re doing the best job we can, we ask our clients to keep their pets flea free. 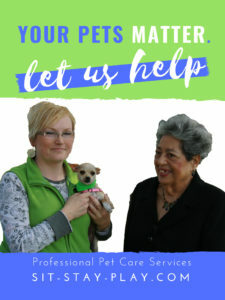 Just so you know, if we walk into a new client’s home and get attacked by fleas or see their pets itching and scratching, we’ll have to pause services until the flea problem is addressed. This policy helps us make sure we don’t carry fleas with us to other people’s homes. If you have any questions about fleas, how we help our client’s with this problem or want to book pet care services, please send a message. P.S. Are you on Facebook? We are and we’d love to connect. P.S. 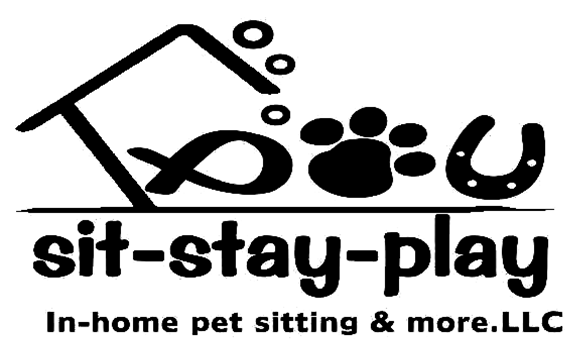 Book any new pet sitting or dog walking service before May 18, 2019 and get 20% off your first set of visits. Go here to request services.